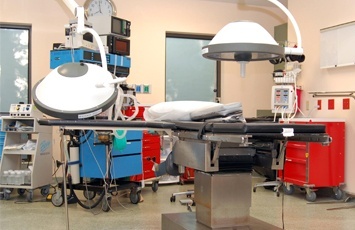 Outpatient surgical procedures are performed at Summit Surgical Center. As an extension of Virtua Hand Center, Summit is staffed with our surgeons and nurses to provide a seamless transition from office to operating room. Summit Surgical Center, LLC provides cost effective, out patient services using state of the art technology by a highly skilled and compassionate team. Summit Surgical Center, LLC has achieved accreditation by the Accreditation Association for Ambulatory Health Care (AAHC). Accreditation distinguishes this ambulatory surgical center from many other outpatient facilities by providing the highest quality of care to its patients as determined by an independent, external process of evaluation. Status as an accredited organization means Summit Surgical Center, LLC has met nationally recognized standards for the provision of quality health care set by AAAHC. Please click this link www.summitsurgicalcenter.net for additional information about the center.